Ocean’s research reveals full-motion digital out-of-home’s impact as an ad medium. Digital out-of-home (DOOH) is a rapidly growing medium, with global media revenues in the sector growing 13% to reach $13.4bn in 2017, according to media research firm PQ Media. As the medium matures, the key question has become not whether to use it, but how best to use it. Over the past five years, Ocean has partnered neuroscience research firm Neuro-Insight UK to develop a better under­standing of DOOH’s impact on consumers. There’s a need for hard data – and neuroscience is the ideal way to gather it, using steady-state topography to track memory encoding and emotional peaks. For its latest study, Ocean set out to explore how full-motion video can deliver brand-building qualities by appropriating learnings from TV and its role in amplifying online content. The results were significant – demonstrating that full-motion DOOH campaigns have an impact 2.5 times greater than content on static displays, delivering a powerful emotional experience comparable to that of TV advertising. The study exposed respondents to out-of-home sites featuring both static and full-motion content, before measuring their brain response to a filmed version of the real-life journey they had undertaken. Because our brains process information holistically, content has to be seen in context; Neuro-Insight UK tracked participants’ peaks in emotional response, how positive that response was, and the number of brand impacts encoded into memory.In previous studies, Neuro-Insight UK has found that the impact of advertising across out-of-home and TV is driven by memory encoding, peaks of emotional intensity and positivity – but, most importantly, it is the number of peaks of response that is crucial for delivering elevated levels of brand effectiveness. The most effective ads feature more peaks of memory response when branding is present, and deliver a strong emotional nudge to viewers. “What’s important is some sort of evolving narrative, because our brains tend to respond to new information,” says Heather Andrew, chief executive of Neuro-Insight UK. While both static and full-motion content delivered high levels of positive emotional response, Neuro-Insight UK found that full-motion creative delivered more branded peaks of memory encoding. Combining these two metrics reveals that full-motion DOOH has the ability to really influence consumers, delivering brand effectiveness in spades. The study suggests that full-motion DOOH can extend the reach of a TV campaign, effectively contributing to positive brand-building outside the home. Online advertising tends to be more about targeted activation than brand-building – consumers tend to engage with it for short amounts of time, making it a challenge to deliver multiple peaks of response. However, full-motion content that plays well online is similar to that used in the DOOH medium – showcasing movement and colour, and not relying on sound to carry the message. Ocean wanted to explore how consumers responded to a piece of shortform online content played on a full-motion DOOH display. Neuro-Insight UK’s research revealed that the same content delivered stronger levels of response in an out-of-home context than it did online – building on previous findings showing that respondents’ exposure to a DOOH ad has a positive priming effect on online advertising. Taken together, this suggests that a multi-platform campaign using full-motion DOOH can both amplify the effect of online content and play a vital role in brand-building through delivering multiple peaks of memory response and emotional intensity. “The work that we did for Ocean was innovative in terms of methodology and outputs, and clearly demonstrates the changing nature of the relationship between different media,” says Andrew. “In an increasingly online media world, full-motion digital sites can play a unique role in amplifying the impact of an online campaign,” she adds. By delivering multiple peaks of response and emotional intensity, full-motion DOOH can perform both a brand-building role and amplify the effectiveness of content in other media – making it an essential asset in an integrated media plan. Set to dominate the advertising skyline on the approach to the city, the iconic Two Towers Digital Out of Home structure is coming to Manchester. The Two Towers® Manchester, is the City’s first double-sided advertising towers which will grace the elevated section of the A57 Mancunian Way from March 2018. These two portrait orientated screens will capture access in both directions to the busiest inner city motorway route in Manchester, making The Two Towers® Manchester’s number one large digital out of home display in terms of audience reach, delivering 3.6 million impacts a fortnight. Smirnoff celebrated inclusivity in nightlife culture for the next chapter of their “We’re Open” campaign on the Piccadilly Lights, over the festive period. The campaign ran on Ocean Outdoor’s iconic Piccadilly Lights during the festive period between 25th – 31st December, and also included a countdown to New Year’s, where huge crowds gathered during the night in Piccadilly Circus to join the celebrations. In addition to positioning Smirnoff as the drink to enjoy responsibly during the occasion, the campaign ran alongside the Mayor of London’s gender-equality campaign once the clock struck midnight, making it the perfect platform for Smirnoff to push gender inclusivity, raise awareness and shift perceptions of the non-binary community on an unmissable scale. 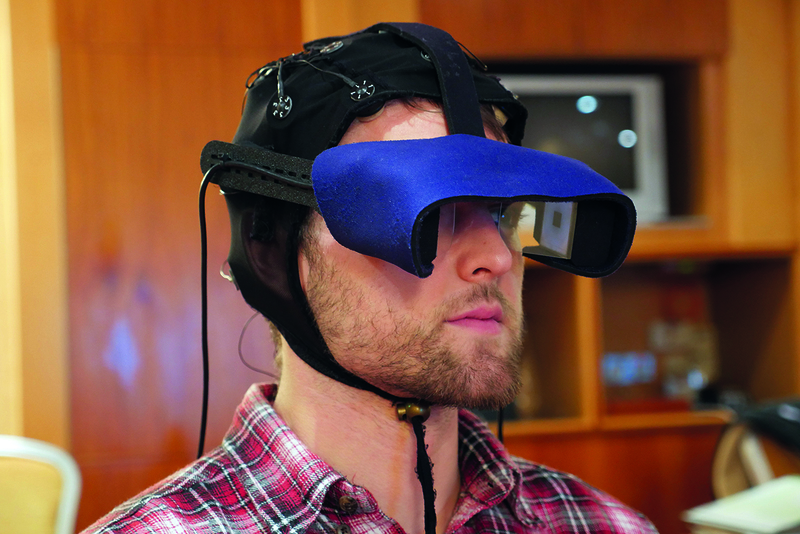 Ocean Outdoor have launched the last in their series of Neuroscience Research- three exclusive research projects into Out of Home Advertising. Building upon previous studies which demonstrated Iconic Impact, OOH Priming, and Mobile Priming, their latest study looked into the neuroscience view of full motion in DOOH, and how it delivers an experience that appropriates the traditional brand-building role of television and which can amplify the impact of online advertising. The full studies are available on Ocean Outdoor’s ‘Research & Insights‘ page. Ocean has today announced the creation of a new Operating Board and a realignment of the group structure. All Ocean Group entities will fall under a single operating structure and be managed under the Ocean brand. The single structure takes effect immediately and will be fully implemented by the end of 2017. The realignment of the Ocean and Signature brands to the Ocean brand takes effect from Q1 2018. In the new structure, all revenue streams will be run by newly promoted Co-Chief Revenue Officers (CROs) James Harrison and Nick Shaw. In support, Andrew Gibson will head-up Specialist trading and Chris Standish will assume special responsibility for Piccadilly Lights and Client Partnerships. There are also key promotions within the new structure for Catherine Morgan who becomes director of Ocean Labs; Billy Byam-Cook, head of finance; Helen Haines, head of marketing and events; John Kilfeather, director of tech and operations; Angela Muckle, head of data, systems and analytics; and David Tait, head of design & studio. Joseph Arshed also joins the Operating Board and will take on wider responsibilities across both the Manchester and Birmingham City Partnerships as well as developing new Council contracts. The new commercial structure will operate a full service philosophy across both specialists and agencies, with increased resource to focus on service levels and growing incremental revenue streams from the out of home space such as content, sponsorship, experiential and mobile across the multiple agency networks and the fast growing independent agency sector. The changes come as Ocean enters its next phase of expansion following a number of key contract wins across the country in 2017. Westfield London phase 2 launches in March 2018 off the back of a £600m extension including the second largest full motion screen in London, after Piccadilly Lights. Included in phase 2 will be a 100% upgrade of all Ocean digital assets to the latest screen and interactive technologies including the iconic Eat Street and Holland Park Roundabout locations. Birmingham and Manchester City councils are also enlarging their partnerships with Ocean through the expansion and upgrade of the Loop street furniture assets, in key city centre locations. Commenting on the contract investment, Ocean COO Stephen Joseph said: “Our key partners are expanding fast and this requires that we allocate our resources effectively to continue to deliver the world class service and commitment to quality. The world-famous Piccadilly Lights were switched back on at 8am today (Thursday 26th October) , after a nine month period of renovation. A spectacular display of colours, which were sponsored by members of the public as part of a fundraising campaign for Barnardo’s, was the first image to appear on the new screen. A big and flashy new billboard in London’s Piccadilly Circus is joining the trend of targeting individual passersby, both pedestrians and drivers, and then serving ads to them. The digital LED screen, about 2,600 square feet in size and divisible into six ads, will feature about some 11 million pixels, Wired U.K. reports, and is the largest of its kind in Europe. Built-in cameras will analyse approaching vehicles—make, model and color—and serve pre-programmed ads aimed at the person it presumes is behind a particular kind of wheel. The billboard will also be able to determine the “gender, age group and even emotions” of nearby pedestrians, too, and “deliver bespoke ad content” to them, according to Landsec, which will manage the board. The company tells The Verge, however, that it won’t collect or store any personal details of passersby. Anna Carpen, executive creative director at 18 Feet & Rising, Aaron Goldring, executive creative director at Partners Andrews Aldridge and Neil Richardson, creative director at Leo Burnett will be joining the judging line-up for the out of home Digital Creative Competition run by Ocean Outdoor, in partnership with Campaign. 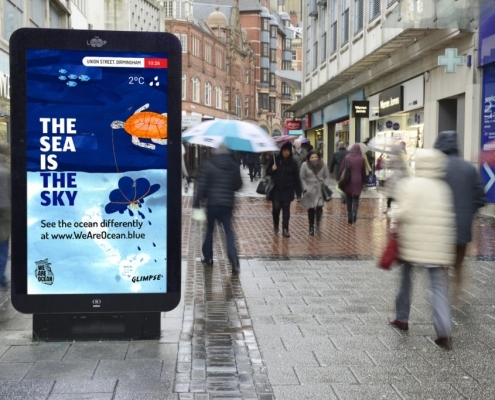 A 16-strong panel will select the best digital OOH ideas for campaigns that Ocean can bring to life on its screens in the UK or via The Alliance network in Madrid, New York and the Far East (Hong Kong). Brands, agencies and creative teams have until September 8th to enter the free competition with a chance to share in the prize fund of £650,000 in media space. Winners winners will be announced at a ceremony at the IMAX in London on October 5th. The full 2017 judging panel is: Claire Beale, editor-in chief of Campaign; Gill Reid, board director, out of home, Mediacom; Glen Wilson, managing director of Posterscope; Stuart Taylor CEO of Kinetic; Chris Marjoram, managing director of of rapport; Andy Tilley, managing partner and chief strategy officer of Talon; Gareth Orr, head of OMD Create; Bill Moss, director of brand ventures and mall retail at Europe Westfield; Robin Behling, chairman of Feref; Sophia Amin director of PR and communications at IAB UK; Adrian Cotterill, editor-in-chief of Daily DOOH; Vasiliki Arvaniti, portfolio manager of Land Securities; and Ocean CEO Tim Bleakley. Ocean has unveiled a new digital screen in the heart of London’s West End, Leicester Square. Located in the centre of London’s entertainment district, the screen forms part of a £6.6 million investment in the Vue Entertainment venue, which has a big screen entertainment heritage dating back to 1938. The addition of Leicester Square is Ocean’s response to advertisers’ demand for super premium locations, and the strategic strengthening of its position in London following the exclusive wins of other “Ask for it by name” assets including the Piccadilly Lights, Westfield Stratford and phase two of Westfield London. The Screen on Leicester Square launches with OnePlus as its advertising partner. OnePlus’s campaign was planned through Starcom and runs for two weeks. Measuring 62.7 square metres, the high definition screen will deliver advertisers 3,500,000 impacts per fortnight.